UPDATE 8/24/17 – I spoke with Rebecca’s family and they have stated that no new information has come in on Rebecca’s case. Please take the time to share her missing information in hopes it will bring in new tips. UPDATE 10/22/15 – Paulk’s parents are offering a $5,000 reward for any information leading to the location of their daughter. Sheriff Billy Sollie told the Meridian Star that his office executed a search warrant at the home of John Bentley Poisso Jr., but nothing was found that tied him to Paulk’s disappearance. Original Story: Rebecca Henderson Paulk, 26, has been missing since Labor Day. She was last leaving her home in Marengo County, Alabama and arriving in Meridian Mississippi. Then her car was found abandoned in the Whynot woods two days later with her purse, laptop and iPad still inside. On Thursday police arrested John Bentley Poisso, Jr., 57, on misdemeanor charges unrelated to Rebecca’s case. Much later Lauderdale County Sheriff Billy Sollie stated that Rebecca Paulk was seen with John Poisso, which now shows a connection that was not earlier released. 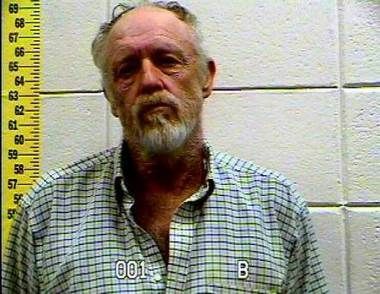 They executed a search warrant at his home after receiving a tip about Rebecca reports WTOK TV. Subsequently Poisso was arrested on several misdemeanor charges and questioned about Rebecca, but he has not been charged with her disappearance. There is a $5,000 reward for information leading to the whereabouts of Rebecca, who is a mom and keeps in close contact with her family. Rebecca’s mom doesn’t believe her daughter drove the car to that area where it was found because it was too rough and someone else had to have. Police will continue to search Poisso’s property on Friday. 5’6”, 145 lbs., blonde hair with green eyes. Paulk was last seen wearing blue jeans. She has a tattoo of a fairy on her right torso, “R C” in her bikini area, and the word “Love” on her wrist. The Lauderdale County Sheriff’s Office asks that anyone with information on her call 601-486-4952 or 601-482-9806. Why on earth did this beautiful woman drive to meet this raggedy looking loser who is more than twice her age? She obviously never saw a real picture of him. Oh, her poor parents, children, and other loved ones. How can our society convince people that most of the internet is all pretend? The article doesn't say that she went to meet this guy….It says she went to Mississippi for unknown reasons. It may have been to meet this guy or she may have been unfortunate enough to cross paths with him…and like you said, he may have portrayed himself as a completely different person…I pray they find her safe. It doesn't look good when your car is found abandoned out in the woods.